Aluminium Window There is 1 product. Windows are very important in any building. However, it is not all about having a window in place but the type of window you have is very important too. Is it good enough for your home, office or institution? This is why we took time to develop aluminum windows to help you come up with a suitable window system. The windows supplied by us are the heavy duty type; therefore, your investment is worth it. They are high performance windows. The frame part is made of aluminum, but the rest of the window is glass. 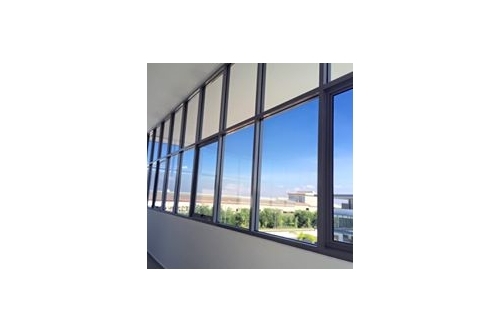 What aluminum does is that it gives strong, stable support to the window. This one opens by sliding a large pane from one side to another. Therefore, you have control over how much of the window should be open. The sliding technique used here also ensures that you have an easy time handling the window. You do not need any special skills. In this type of window, the frame is hinged on one side so that it swings out or in to open. This window is usually vertical in shape. Additionally, it gives you the freedom to choose how far the window should be open. This will obviously depend on factors such as heat, cold, light or privacy needs. This window is pivoted and pushed outwards to open. That way, you are able to use the window with less effort. It enables you to maximize on space and the natural light. It also keeps the rain at a safe distance in case you are not home or you forget to close the window. The pivoting helps in preventing the windows from slamming. This type of window is just as the name suggests; it can be folded to get out of the way and then unfolded when closing. It is appealing to the eye. It is also easy to maintain. We ensure you have the best windows, modern, efficient and easy to operate.